The Artist Embraces the Sound and Lifestyle of the West Coast on His Studio Debut, Executive-Produced by Ty Dolla $ign & Hit-Boy, and Featuring YG, Lil Pump & More. One of the most unique and promising rap-n-b stalwarts of the past couple years, 24hrs enjoyed a steady rise in popularity when he discovered his signature high-pitched auto-tuned sound. Perfecting and refining the luxurious aesthetic that earned him over 700k monthly listeners on Spotify, 24hrs shares "Houses On The Hill," his debut album. Executive produced by super-producer Hit-Boy (Jay-Z, Kanye West, Kendrick Lamar) and Ty Dolla $ign, Houses On The Hill is a glistening soundscape, alternating high definition riders' anthems, ideal for top down cruising, with sensitive bedroom jams. 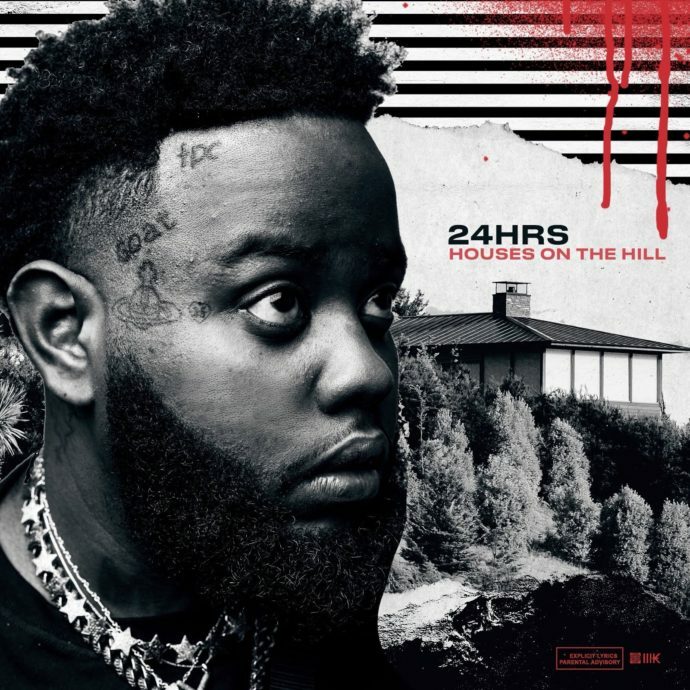 Though 24hrs traces his roots to Atlanta, Houses On The Hill reflects 24's new life on the West Coast, the perfect complement to the Pacific Ocean breeze and Cali kush. The new album boasts the hot single "Lie Detector," which features a guest turn from Lil Pump and has over 10.3 million plays on Spotify, as well as the Caribbean-inflected "Met Gala," featuring PnB Rock, and the cavernous throwback "No Signal," featuring Roy Wood$. Featuring additional appearances from Ty Dolla $ign, 24's younger brother MadeInTYO, YG, Smokepurpp, Dom Kennedy, Vic Mensa, and Jay 305, Houses On The Hill is currently available for stream and purchase.